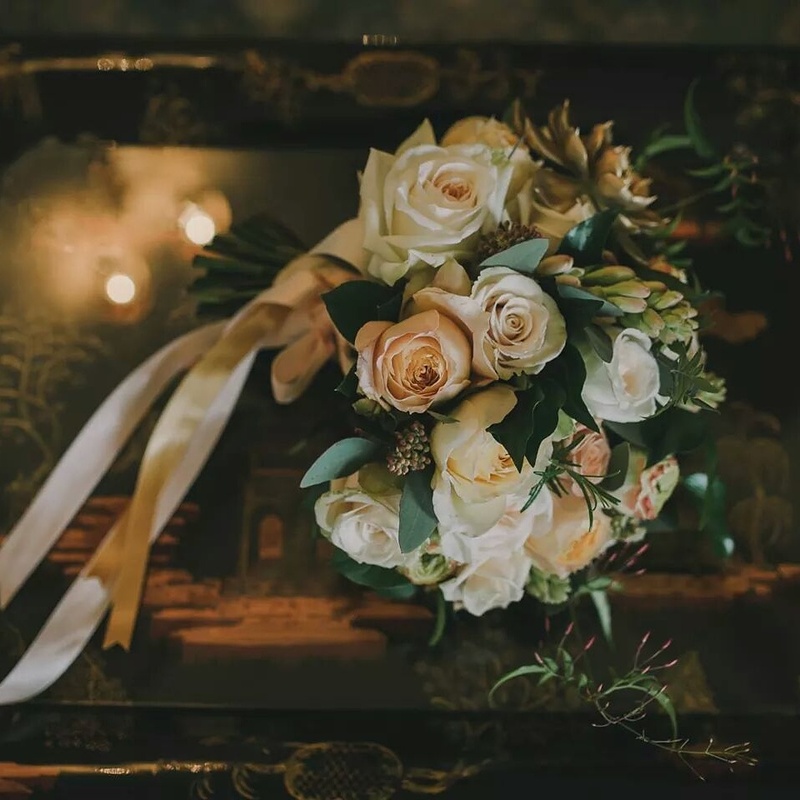 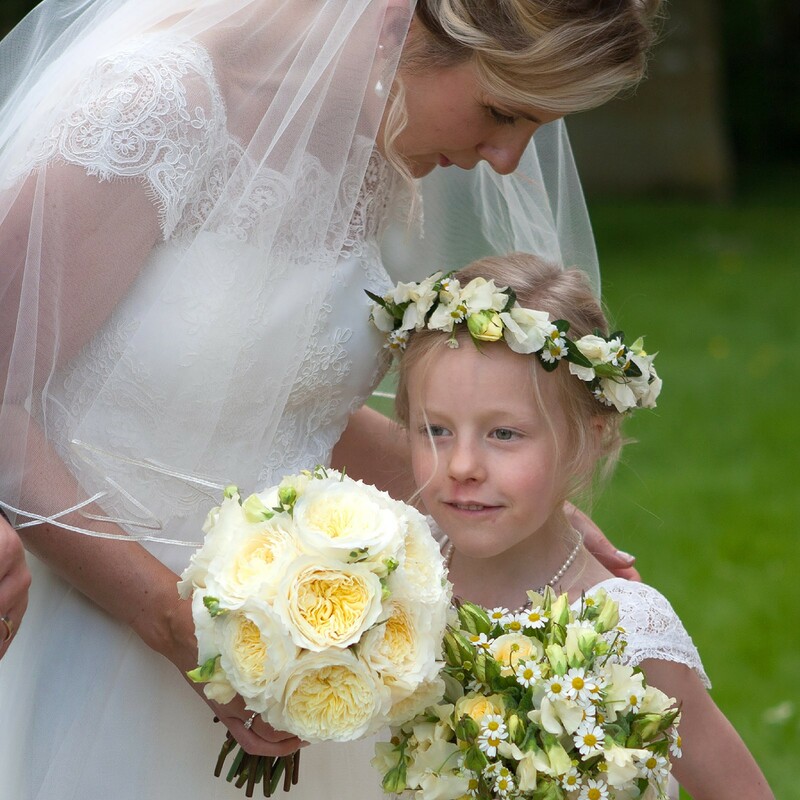 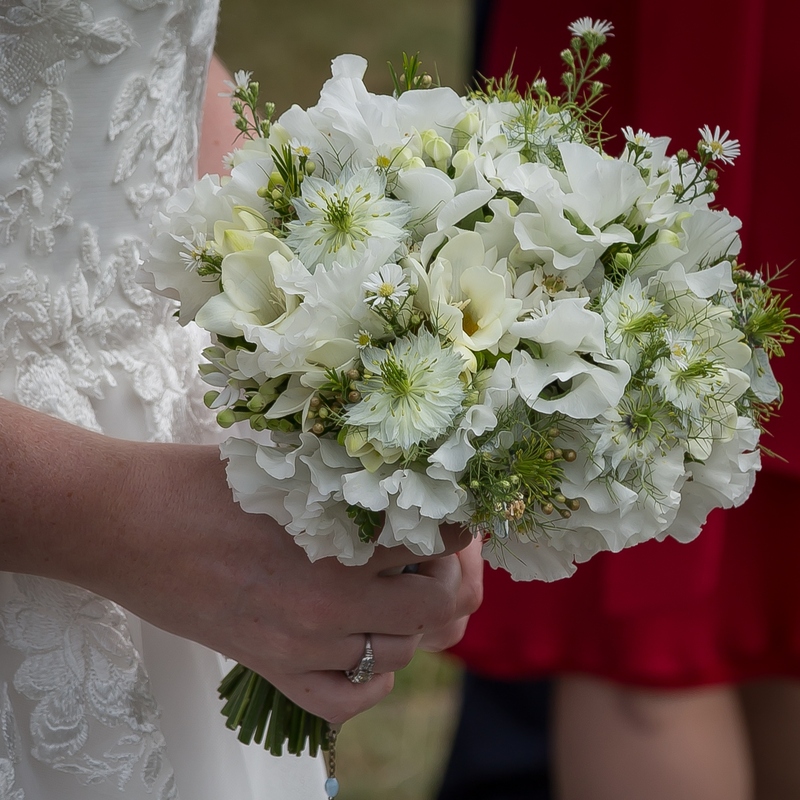 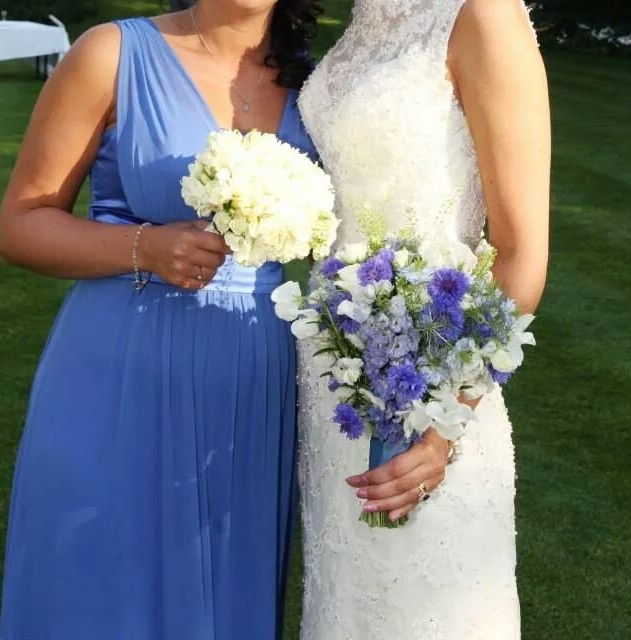 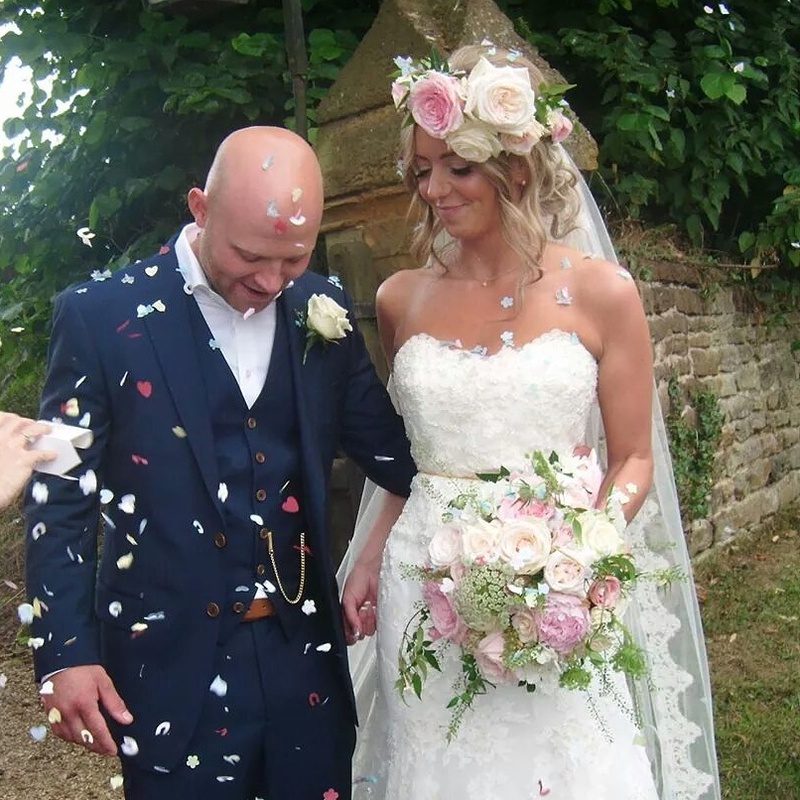 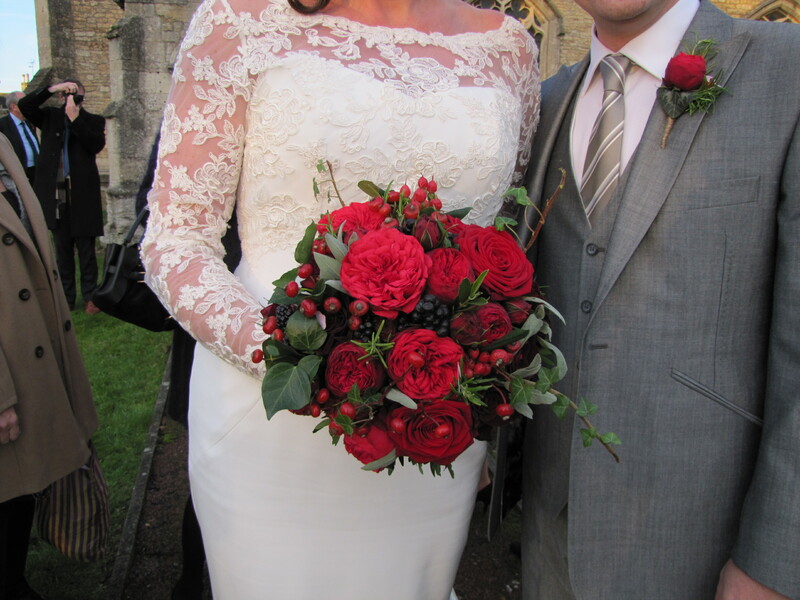 A 'hand-tied' bouquet is a style of flowers that is designed as it is held in the florist hands, adding flowers and foliage as the design is built up and then being 'tied' at a certain point to make sure it is held together securley. 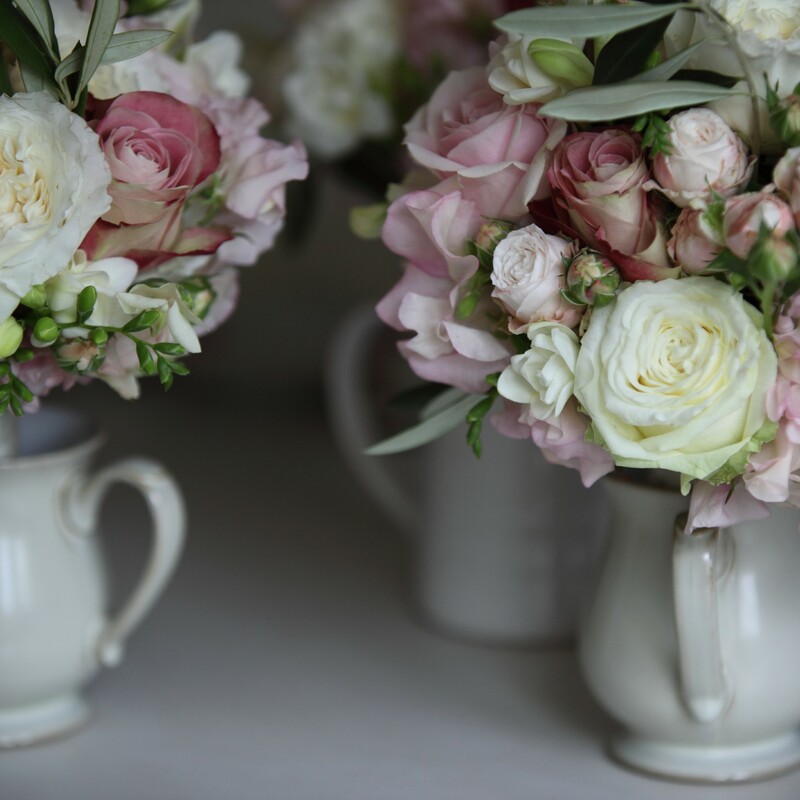 This style of design is more often used and it lends itself to very formal domes or much more loose, informal, natural and wild creations. 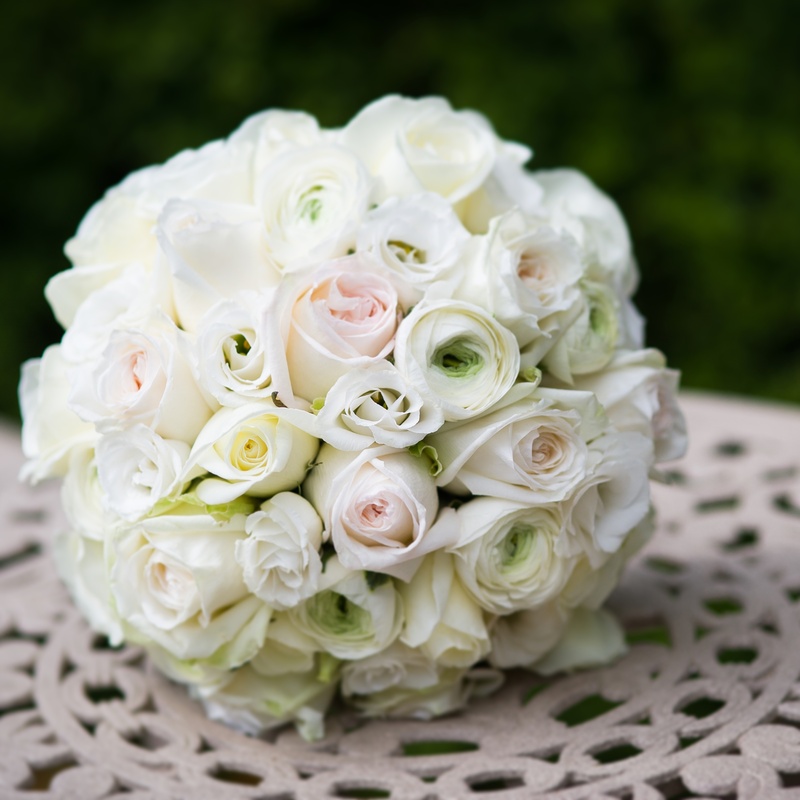 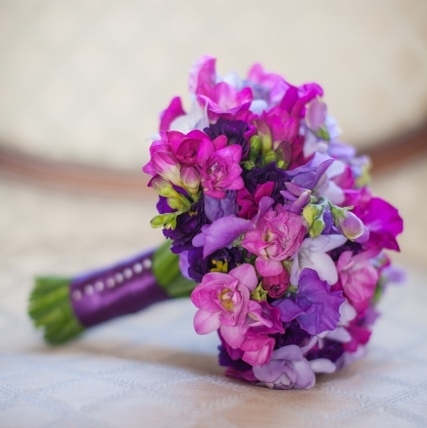 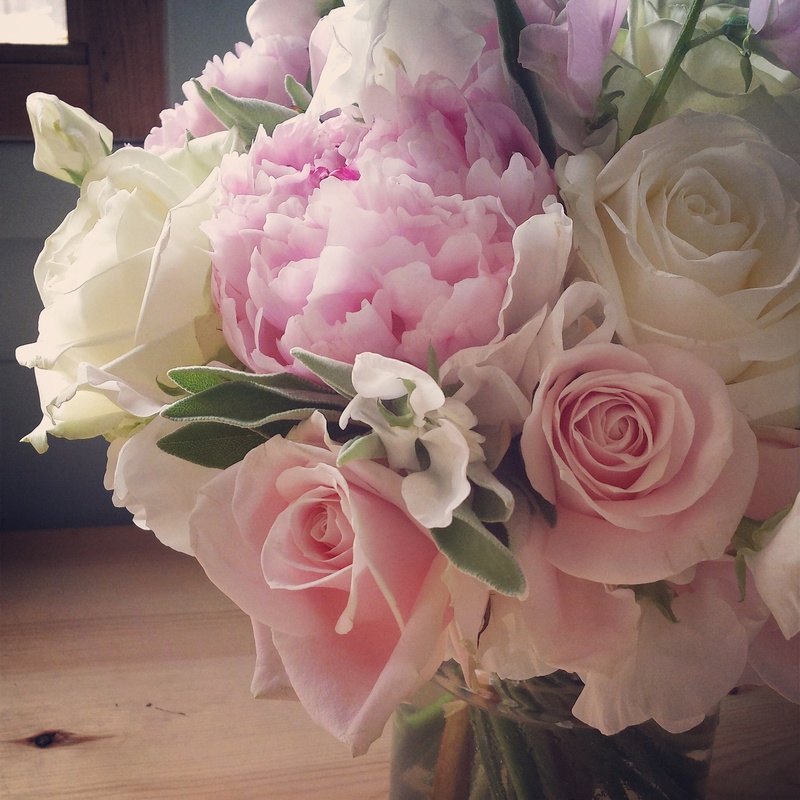 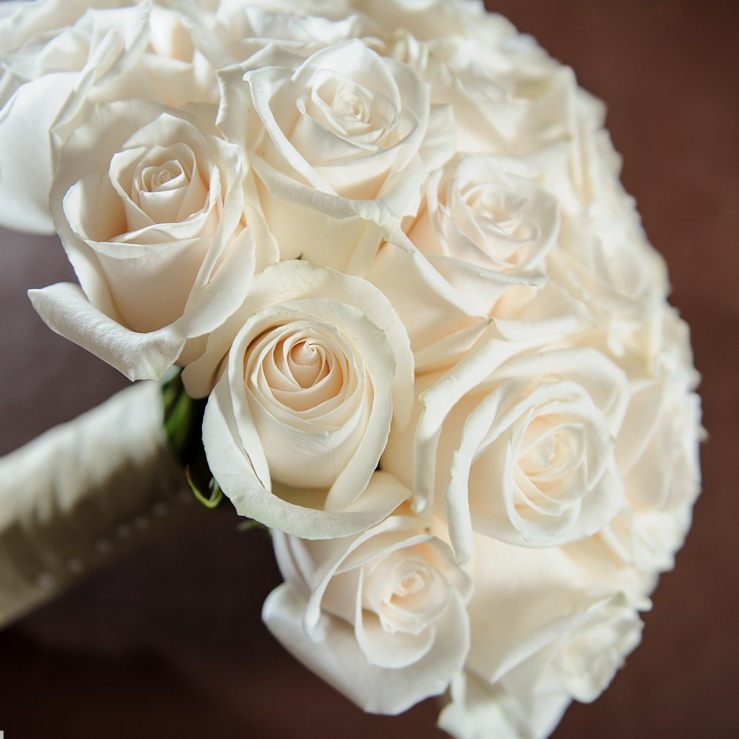 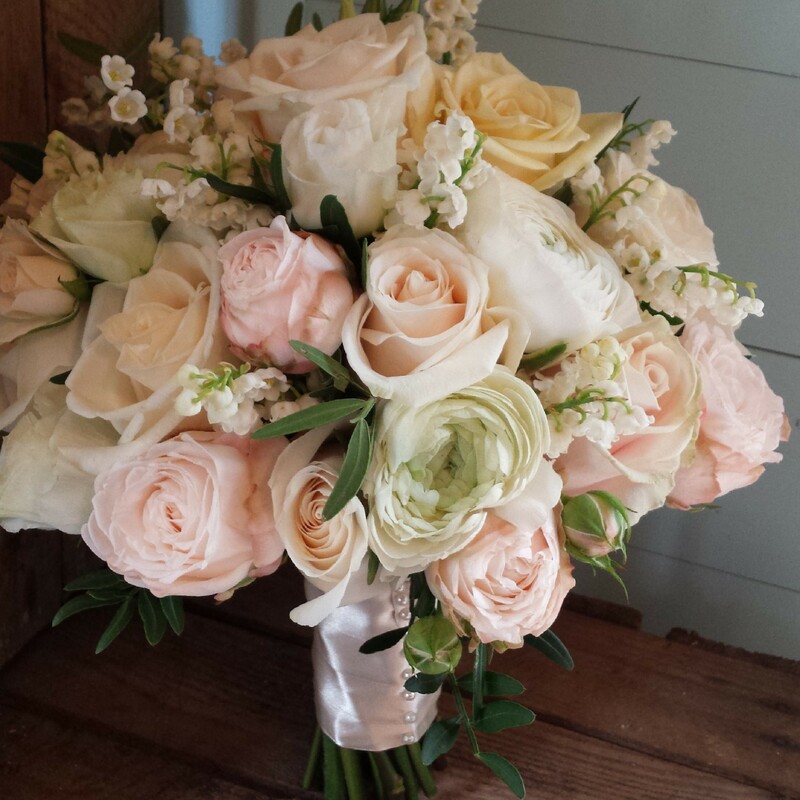 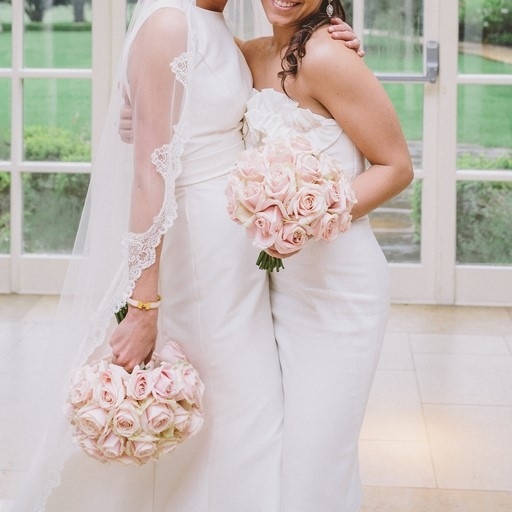 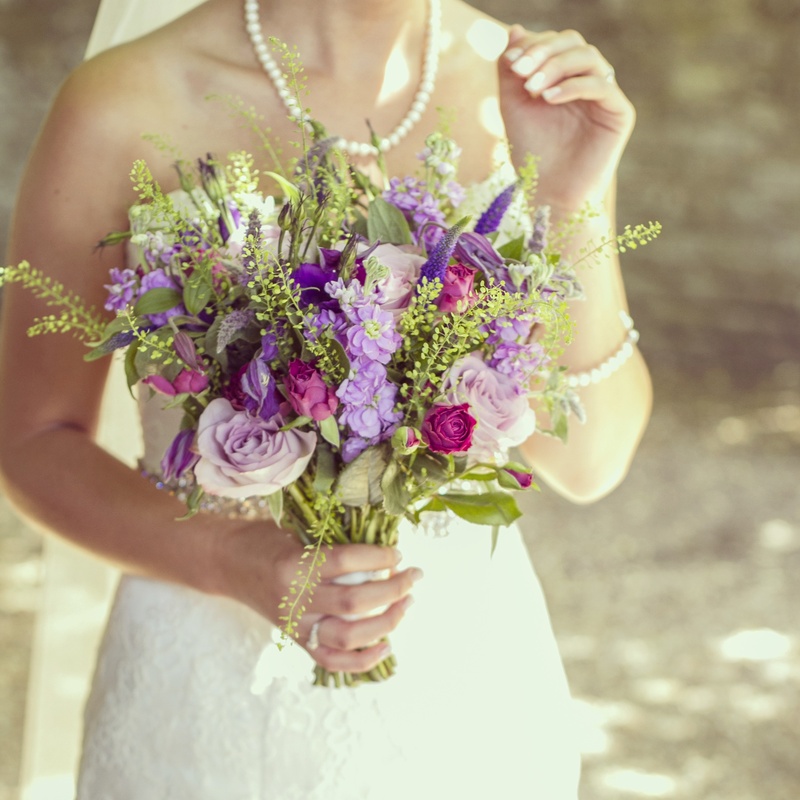 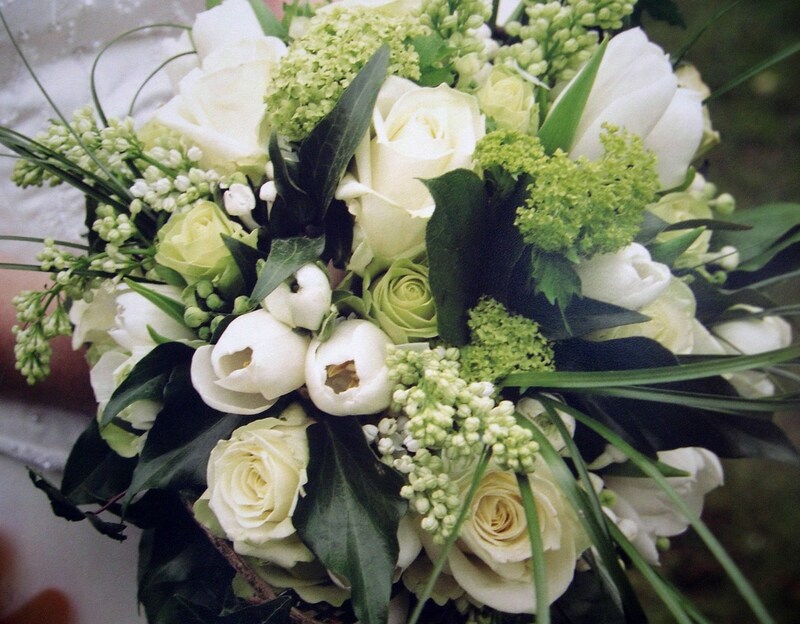 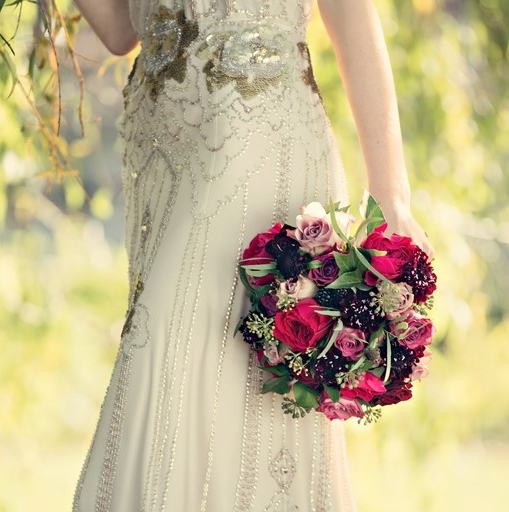 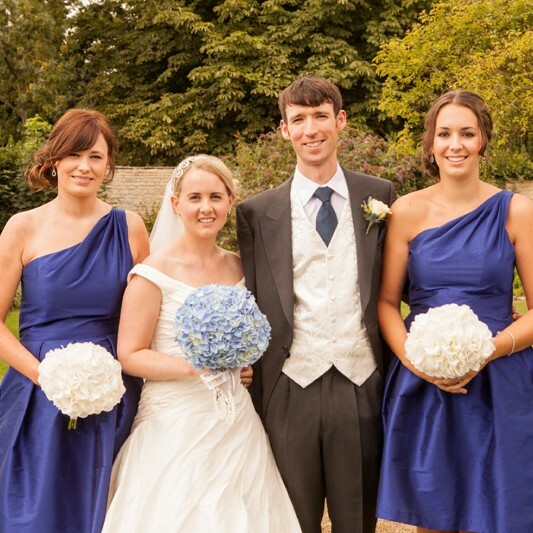 Hand tied bridal bouquets can be both loose and informal or very structured. 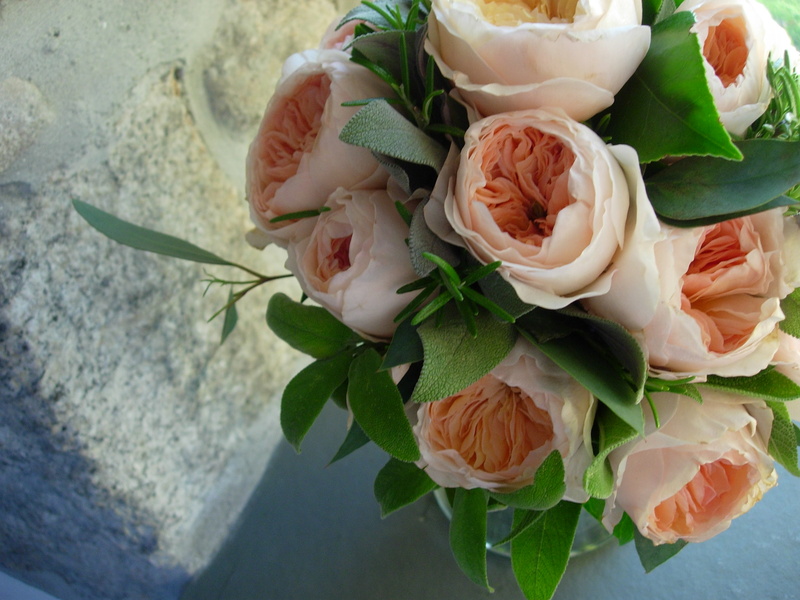 They can be simple and elegant using only a few flowers or very full and blousy.